Hyosung’s popular quarter-litre motorcycle, the GT250R is back on sale in India, thanks to the brand's acquisition by Kinetic-owned Motoroyale. Priced at Rs 3.38 lakh (ex-showroom pan-India), it competes against the KTM RC 390, TVS Apache RR 310, Kawasaki Ninja 300, Yamaha YZF-R3 and the Benelli 302R in the Indian market. Compared to other motorcycles in its segment, the GT250R looks properly full-sized with that large fairing housing the 249cc V-twin air-cooled motor with oil cooler. This engine generates 28PS at 10,000rpm and 22.07Nm at 8000rpm coupled with a 5-speed gearbox. The GT250R is equipped with upside down front forks and a monoshock with preload adjustment at the rear. Adhering to the latest safety norms, it comes with dual-channel ABS as standard for the dual front and a single rear disc. Hyosung GT250R prices start at Rs. 3.39 lakh (Ex-Showroom). Hyosung GT250R is available in 1 variants and 3 colours. Share your experiences with GT250R? The claimed ARAI mileage for the Hyosung GT250R petrol is 27 kmpl. Q. Is this bike is comfortable for touring? We would suggest you to check user manual as it contains all the information regarding its service or get in touch with the nearest dealership. Q. My height is 5.4 feet, so which bike will be suitable for me? Q. Bhai bike kaisi hai n iska pickup kaisa n maintaince ka khracha kitna hota hai basically? Q. Sir, front me disk single ya double? Yes, Hyosung GT250R gets dual disc brakes at front. After the news of the DSK group shutting down, the Hyosung has now joined hands with Kinetic's Motoroyale. The GT 250R is Hyosung's answer to the 250cc faired sports bike market. It has a good design but feels a tad dated in the face of the competition. It comes with features like dual stacked projector headlamp and digital analogue instrument cluster. The riding position is extremely committed and is more suited for the racetrack than the road. The motor is a 249cc V-twin motor that makes 28.3PS and 22Nm of torque. This is a torque-rich motor and powerful enough to propel the bike to a claimed top speed of 140kmph. It suffers from snatchy fuel injection though. The 250cc faired sports bike was one of the most affordable multi-cylinder two-wheelers on sale. 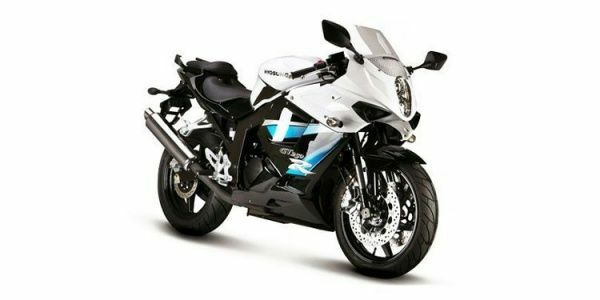 That was until Kawasaki decided to drop prices for the Ninja 300 which now retails for Rs 2.98 lakh (ex-Delhi). It still remains the only V-twin sports bike available below the 500cc segment. While the GT250R offered a good VFM proposition, the recent localisation and price drop for the Kawasaki Ninja 300 makes the GT 250R difficult to recommend.